The newest movie in the Marvel Cinematic Universe is an adaptation of the (mostly hated) comics event Civil War. However, the central issue of the comics - registration - doesn't quite work in a world where everyone knows who the superheroes are. Luckily, Captain America: Civil War finds another issue to divide our heroes: accountability. The Avengers are US-based group that answer to no governments and cross borders with impunity. What, or who, gives them the right to superhero wherever they want, especially when superhero battles tend to damage infrastructure and result in casualties? Unfortunately, the issue comes to a head just as Captain America's old pal Bucky is accused of a terrorist act. There are a lot of moving parts in Captain America: Civil War, including new villains (Daniel Brühl as Baron Zemo) and new heroes (Chadwick Boseman as T'Challa, Tom Holland as Spider-Man). The new actors acquit themselves well. Brühl has the advantage over many Marvel villains in that he isn't trying to act through a thick mask of makeup. Boseman gets a showcase emotional arc, and he plays it to the hilt. Holland brings the energy and humor Peter Parker needs in his brief appearances. I'm eager to see both Black Panther and Spider-Man: Homecoming now. Then there's all the returning heroes. Captain America. Iron Man. Falcon. Black Widow. Scarlet Witch. Vision. Hawkeye. War Machine. Ant-Man. If you have not seen any of the previous Marvel Cinematic Universe movies, this is not the place to start. 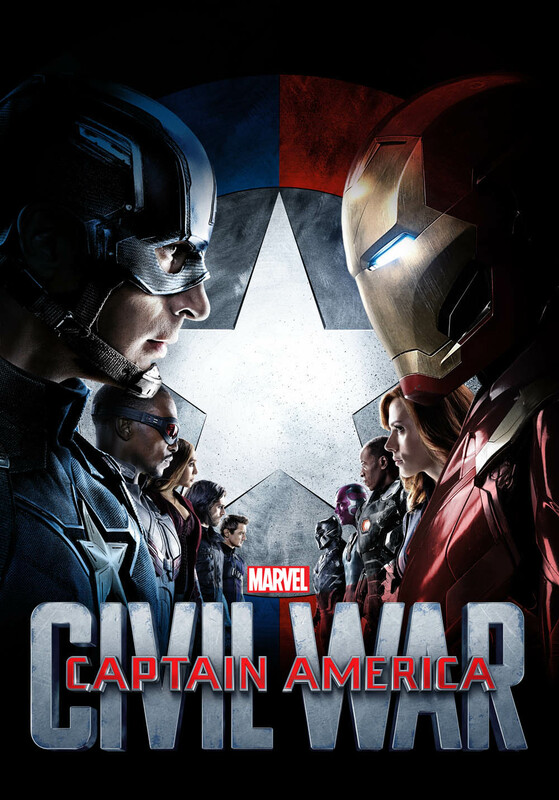 Captain America: Civil War builds off the character arcs of the previous Captain America movie (The Winter Soldier) in addition to Avengers: Age of Ultron. This movie expects you to know who these people are. It has too much to do to re-introduce old characters. If you do know these characters, it is a crazy ride. There are plenty of serious moments in this battle of friend against friend, but there's also a healthy dose of humor and plenty of inspired action scenes. The story is grim, but Captain America: Civil War never forgets that superheroes are fun. I really enjoyed this one. It had enough humor, which I love in Marvel films- and I think it did the battle between friends well. You could still tell these people cared about each other, even if they didn't agree or were physically battling.